Flickering glints of light in the ginkgo branches caught my attention early this morning. 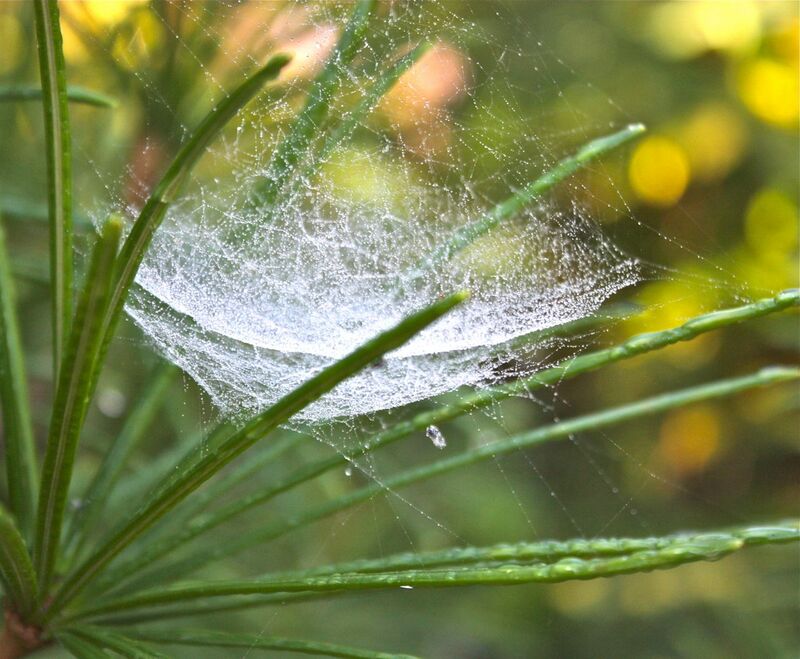 It was a gorgeous orb web covered in droplets of morning dew that sparkled like miniature crystals in the sunlight. 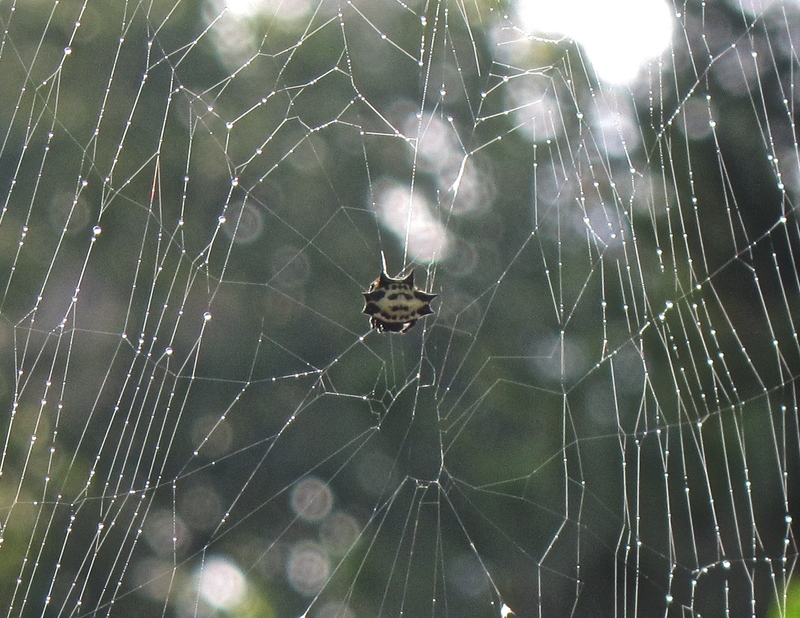 In the center of this large web was a funky little spider known by several names: the crab-like spiny orbweaver, smiley face spider, jewel spider, spiny-bellied orbweaver, skull spider. It is easily identified by the 6 spiny projections that protrude from the shell-like body. The bodies are white and the spines are black on the ones I see around Tidewater Virginia but the color of the body and spines can vary from orange or yellow to red, especially in Florida. 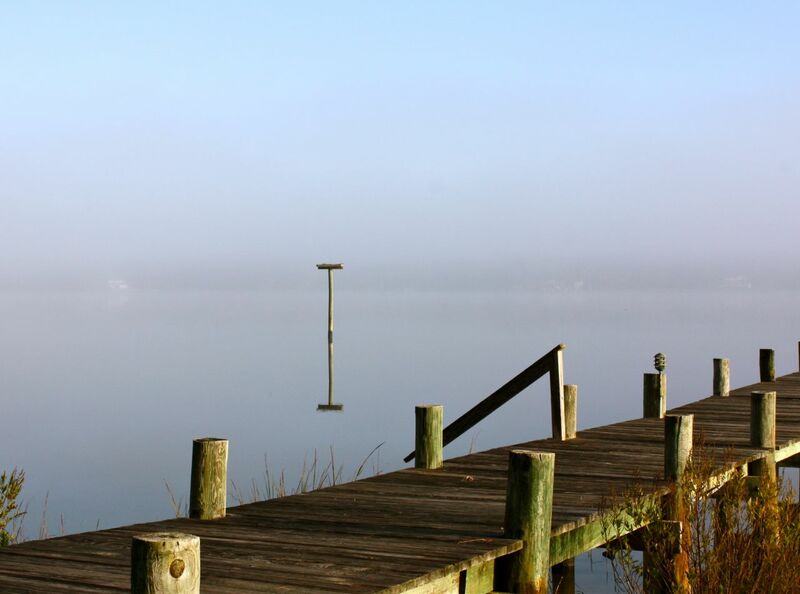 No one has fully determined the purpose of the spines but it is thought to serve as a defense. 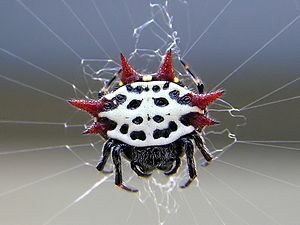 The Gasteracantha cancriformis is found in southern United States through South America. Most commonly seen in the fall when reproduction takes place, the female builds a new nest nightly around shrubs and lower branches of trees, often destroyed by humans when it stretches across walkways. She faces downward in the center of the orb while she waits for her prey. 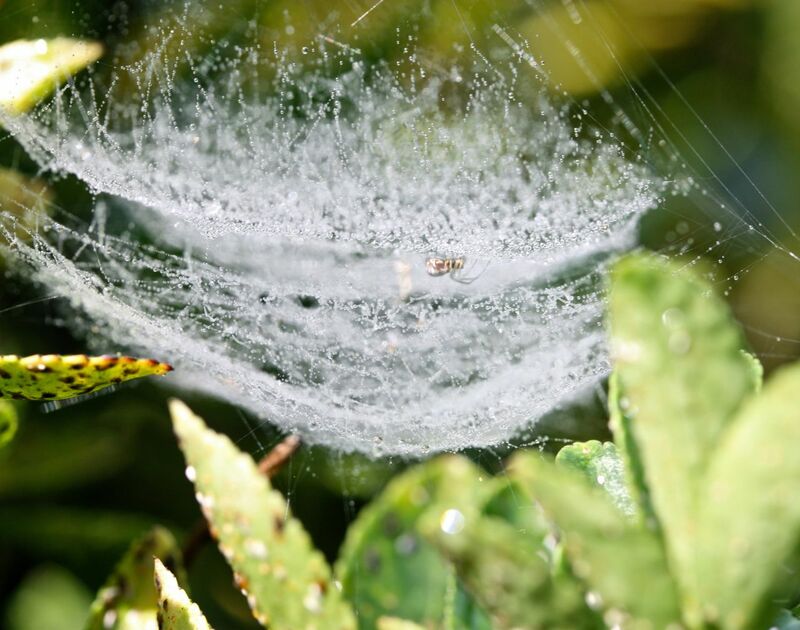 This miniature spider is not dangerous and serves as a beneficial predator in the garden. Her diet consists of mostly flying insects: moths, flies, mosquitoes, white flies, fruit flies and other small insects. 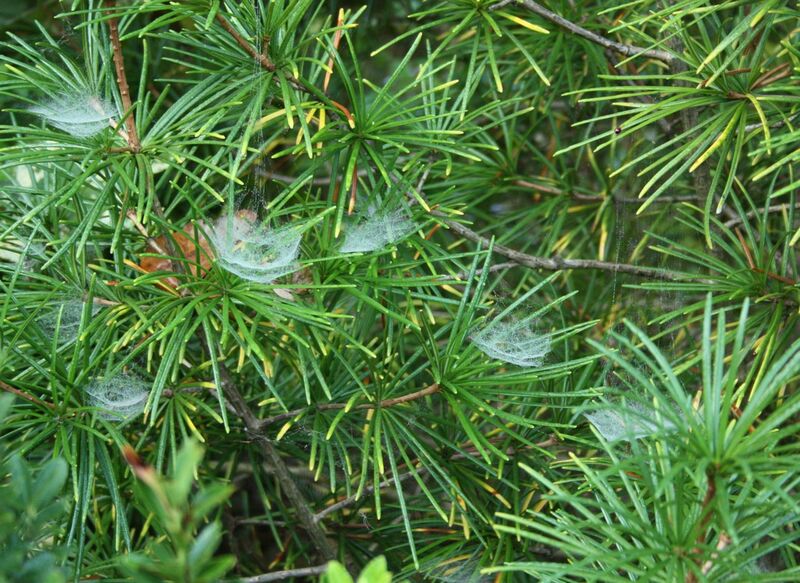 Matter of fact, these unique little spiders are appreciated in the citrus groves of Florida where they help to control the fruit fly population. The life span of this spider is short. The male dies shortly after mating. After laying her eggs, the female soon dies. Eggs take 11 -13 days to hatch yet young will stay in their egg case for several weeks. If you’d like to see one of these funky little gals, arise early while the dew is still on the grass and the light from the morning sun illuminates the droplets. Look dead center in the web for a tiny button of a spider and marvel at her uniqueness.